Welcome to the Streets Dept Podcast! Y’all, over the last several months I’ve been working to develop a Streets Dept podcast, and I’m so happy to officially announce today that it will launch in ONE WEEK! What is the Streets Dept Podcast? 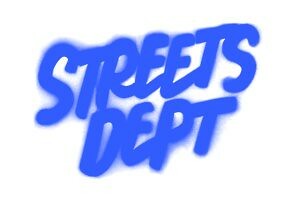 The Streets Dept Podcast will be a bi-monthly (that’s twice a month) interview podcast. I’ll be interviewing artists and creatives from around the world. From street artists to poets, activists to politicians, small business owners to community organizers. The podcast will feature one-on-one, 30-minute-ish interviews with the creative minds who are shaping the world around us. Stay tuned for Episode 1, an interview with dramedian and Senior Staff Writer for Elle.com, R. Eric Thomas, premiering on Tuesday, October 10th! 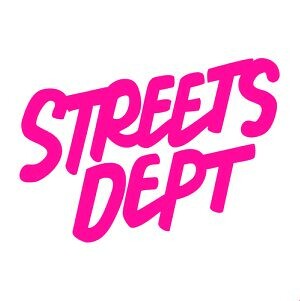 Subscribe to the Streets Dept Podcast on iTunes, SoundCloud, or Google Play to receive episodes as soon as they’re published, and please feel free to rate and write a review of the podcast on those platforms to help others find it. Season One of the Streets Dept Podcast is brought to you by our sponsors at The Navy Yard and Indy Hall!